Emergency disconnect cutters have become crucial in mission-critical situations. There are growing concerns over the cost of subsea intervention, together with the risk of asset damage in the event of an emergency. Allspeeds have developed a huge range of Webtool integrated cutters and systems. They provide rapid emergency disconnection in the event the DP surface vessel moves off-station. 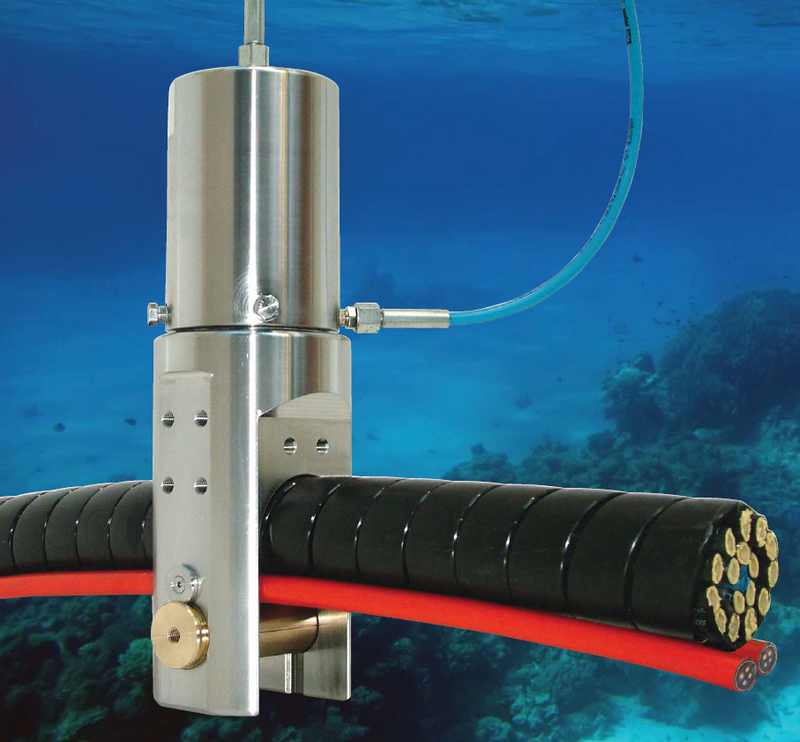 The permanently installed cutter that doesn’t require any ROV time. Easy integration within LWRP (Lower Workover Riser Package). Single guillotine cutting operation, complete within seconds. No risk of the disconnect cutter jamming. Hydraulic & electrical flying leads and tension wire all cut simultaneously. Extended subsea deployment due to corrosion resistant materials. Integrated cutters or complete cutting systems. Webtool’s range of integrated emergency disconnect cutters and systems can benefit any subsea application. This is especially true where emergency disconnection, or when a permanently installed cutter is required. We have considerable experience and references for emergency disconnection cutters within IWOCS systems. These tools are designed using corrosion resistant materials for extended periods of subsea deployment. This means that they are durable and should last for a long time. Our cutters can be easily function tested, ensuring they are always primed and ready for use. This includes the IWOCS Emergency Disconnect cutter. Download the IWOCS Emergency Disconnect Cutter brochure for more information. Please feel free to contact our friendly team on 01254 615100. They would be happy to answer any of your questions regarding our emergency disconnect cutters or other ROV and subsea tools. Alternatively, you can send us an email to info@allspeeds.co.uk with your query, or contact us here and our team will be in touch soon.